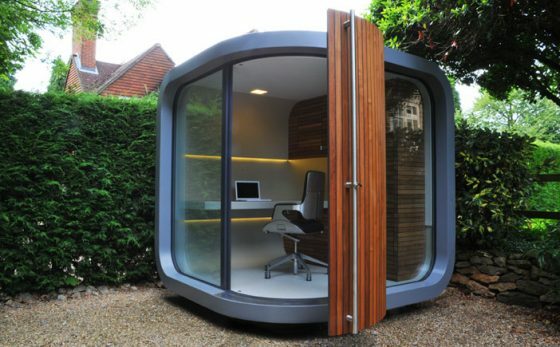 Home > Knowledge Center > CRAZY Backyard Installations — They Put WHAT in Their Backyards? Maybe you’re over the whole in-ground pool and outdoor kitchen thing, and want to explore adding something more – shall we say – unique (or crazy) to your backyard. We’ve got just the ticket. 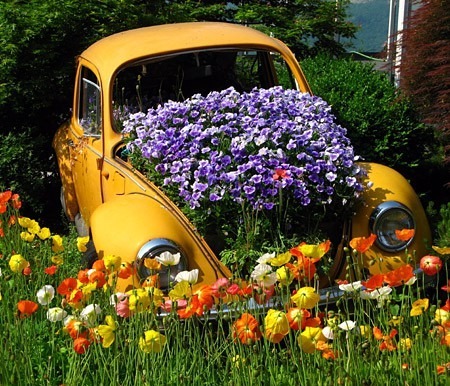 Below are some unusual ideas people have either built in their yards or that are available for sale for yours. They Put What in Their Backyards? Yep. 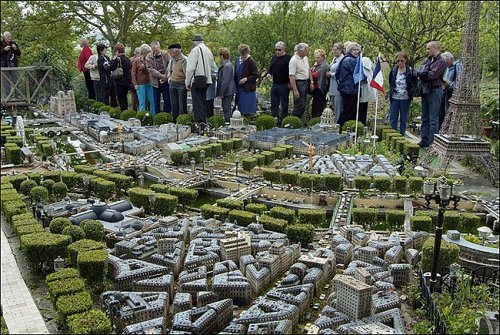 This guy built a miniature replica of his hometown in his backyard. He’s an artist, so we guess it makes sense, kind of. He’s committed to his little Paris, too: having spent more than 20 years making the tiny City of Lights from recycled materials like cans and jars. His many additions to the yard include landmarks like the Eiffel Tower and the Arc de Triomphe, and he even recreated the River Seine. 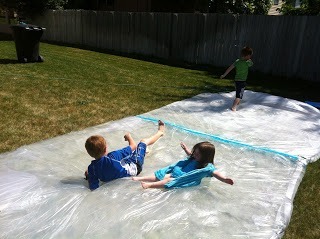 Add to that streets with cars and lights and bridges and you’ve got yourself one cool backyard addition. This Barstow, California native built an actual BMX track in his desert backyard. His self-proclaimed “never-ending masterpiece” is full of jumps, lifts, and landings, and he welcomes “cool, chill people” to use the track. At one point, the city’s code and permit enforcers came down on his track (not in the good way), and the BMX nut was assessed $100,000 in fines. Complaining that Barstow never built anything for the town kids to do and saying he took it upon himself to make something fun for the city, the BMX backyardigan rallied his neighbors around him and he won in court, allowing his track to remain intact. 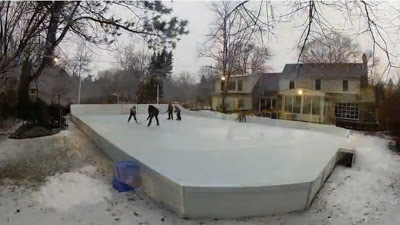 Build yourself a long, flat box the width of your yard, throw a plastic liner and 15,000 gallons of water on it, let it freeze and you’ve got yourself your very own backyard ice rink. This Chicago suburbanite spent five days constructing the rink for his cousin’s kids to enjoy for ice hockey and all-skate time. Dad’s cousin of the year, we’d say! 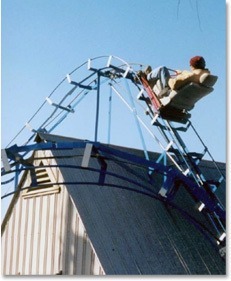 Apparently, backyard roller coasters are a thing. We’re not sure if this is terrifying or amazing. Either way, watch this video and try to resist building one of these handmade rolling creations yourself – unless safety and living matters to you, then maybe you just want to see how the other half (the crazy half?) roll. 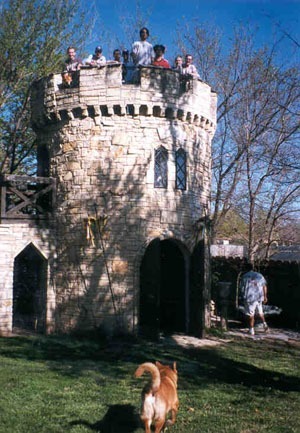 A retired math teacher in Junction City, Kansas knows how to spend his downtime: build a castle. That’s right. 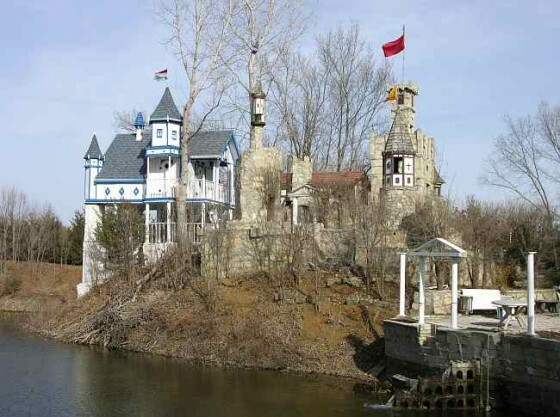 The owner of this special backyard attraction has been building his castle complete with turrets, a bell tower, a dungeon, moat, and cannons (which he fires on special occasions) for more than 15 years. Named Kracht Castle after its builder, this backyard masterpiece is rented out for weddings and other events, but mostly, it’s just a place for its owner to relax in his twilight years. This one needs no explanation, does it? I Can Put That in My Backyard? This is a do-it-yourself project, but hey! Why not. Read how to do it here. 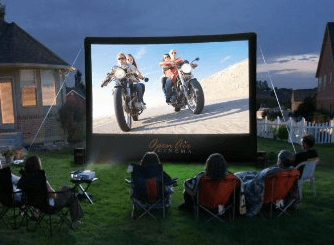 This inflatable outdoor movie screen comes with everything you need to host “sit-in” movies at home: a projector, audio mixer and more. We’d say this makes the perfect Southern California backyard kid party. This accommodates seven guests for dinner or drinks. 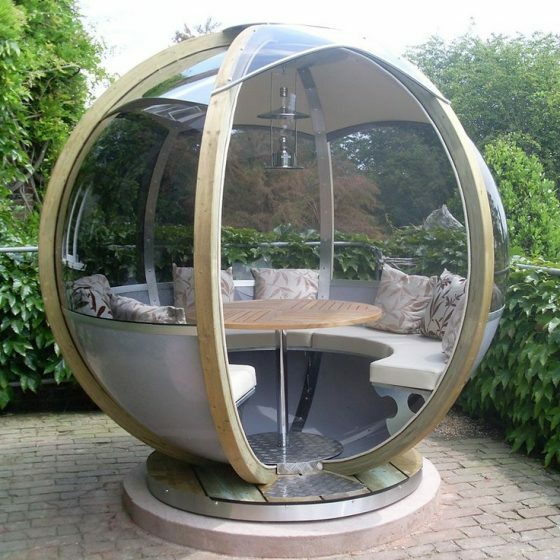 Because sitting in a rotating outdoor sphere is the ultimate dining experience. We guess. If you have any of these items in your backyard, let us know (and send pictures!). Which one would you actually install in your yard? Tell us in the comments!